Det er en helt spesiell stemning i Italias kulturelle hovedstad Firenze når det nærmer seg jul. Et enormt antall mennesker, men byen er nesten tom for turister og du kjenner deg nå litt nærmere renessansens fødeby. Og i den sammenheng har Firenze mye å by på av arkitektur og kunst. Men det som treffer oss først er lyset. Solen går lavere og detaljer i arkitekturen på bygninger som eksvis Il Duomo (Santa Maria del Fiore) er fantastisk. Her kunne vi sitte i timevis å beundre den genuine utsmykkingen , men – nå besøkte vi Firenze for å kjenne på julestemningen. Julemarkedet på Piazza Santa Croce er tydelig inspirert av nabolandene i alpene. Du finner ikke de største shoppingsentrene i Firenze, – heldigvis. Men rusler du gatelangs har du et utrolig stort utvalg av butikker, med helt spesielt interiør og innhold, å velge i.
Og midt i mylderet av italienere på juleshopping dukker det stadig opp hyggelige og inspirerende opplevelser. Og – når vi er i Italias kulturhovedstad er det naturlig å fokusere på maten. Utvalget restauranter er enormt, men vi anbefaler gjerne Eataly for lunsj. Her er det 2000 kvadratmeter butikk og restauranter. Du finner Eataly, like ved Domen, i Via De Martelli 22. For toskanske matopplevelser mot julekvelden anbefaler vi deg å prøve La Menagere i Via de Ginori 4, Il Santo Bevitore i Via Santo Spirito 64 og Ristorante Gurdulu i Via Delle Caldaie 12. Dobbelklikk og se mere julestemning fra Firenze her. 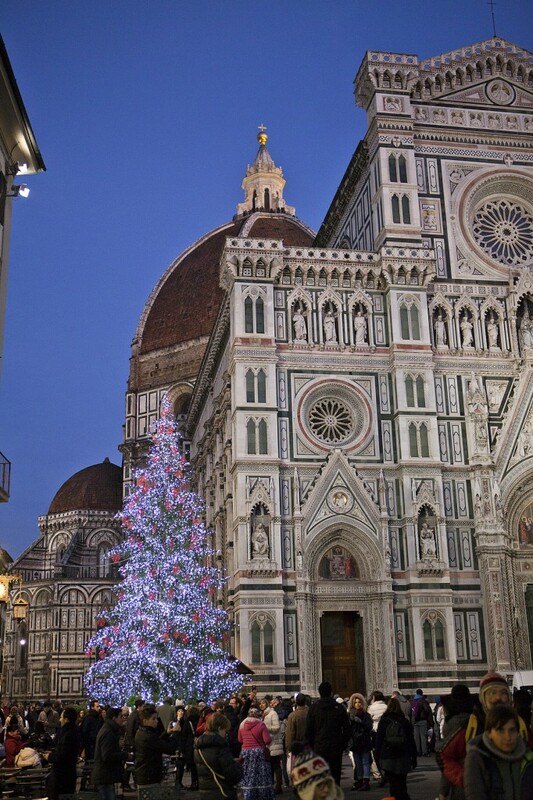 There is something very special about the mood and atmosphere of Florence, Italy’s cultural capital, now that Christmas is close. 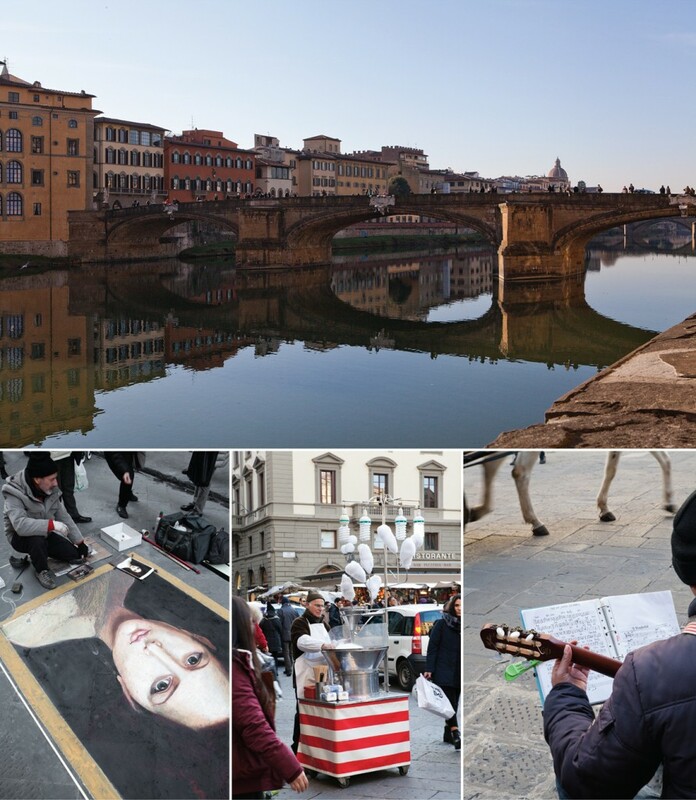 The city is packed with people, but hardly any tourists at all, and filled with art and architecture befitting the birthplace of the renaissance. The first thing that strikes us, however, is the light. The sun sits lower in the sky, giving off a warm glow that amplifies beautiful architectural details. We could sit for hours and gaze at Il Duomo (Santa Maria del Fiore), however we didn’t actually come for the architecture, we came for the Christmas spirit. 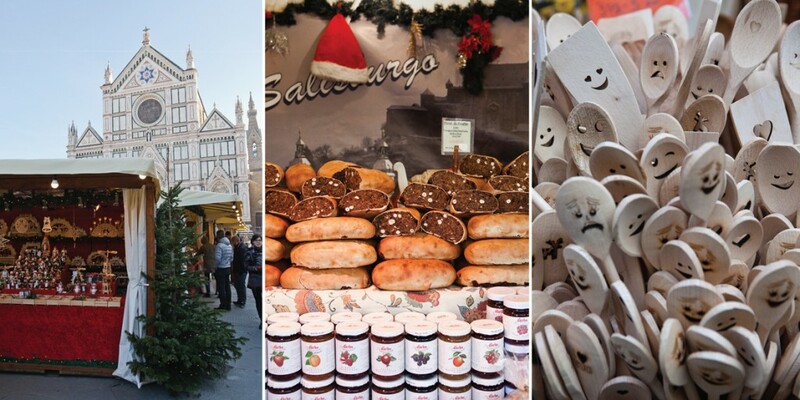 The aesthetics of the Alps is present in the Christmas market at Piazza Santa Croce. 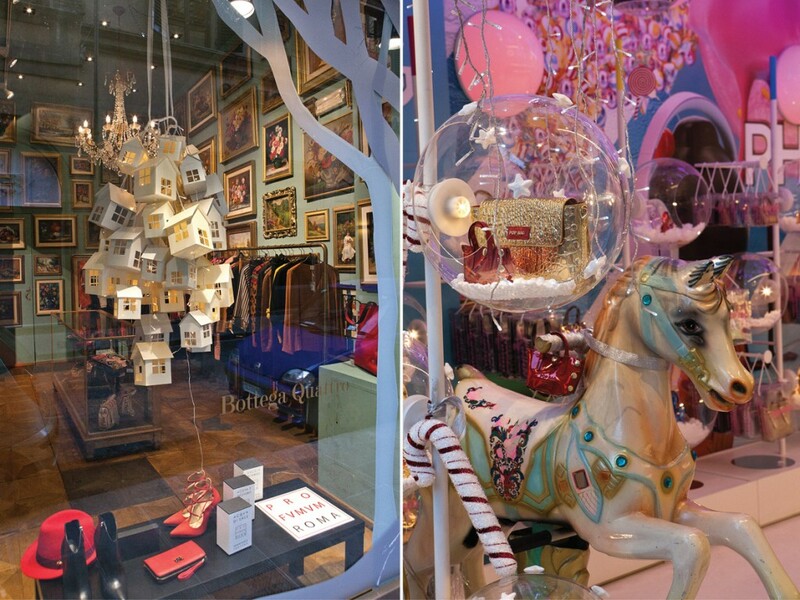 Luckily, you will not find huge shopping centers in Florence, but if you wander the streets, you cannot miss a myriad of shops with very distinct interior and products to choose from. And in the middle of all this Italian Christmas shopping we encounter other small surprises that inspire us to find our Christmas spirit. As we are in the cultural capital of Italy, it seems natural to put some focus on the food as well. 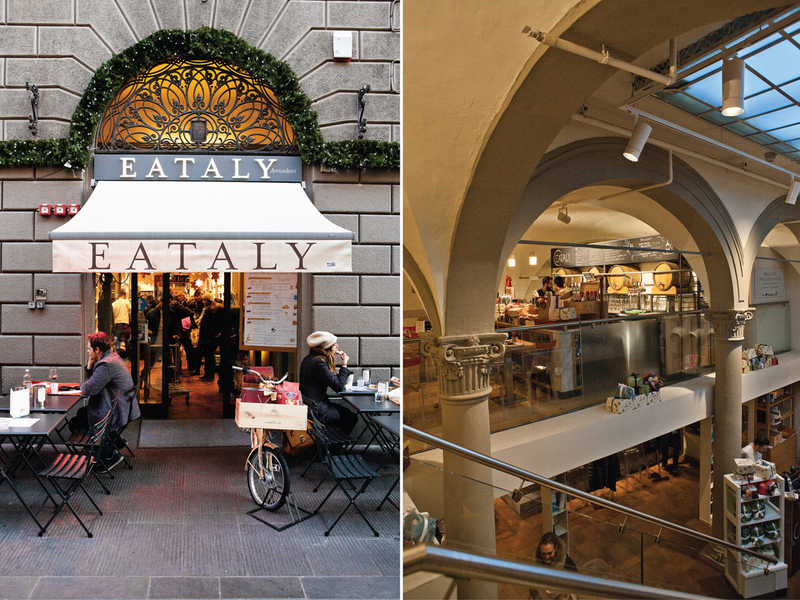 The number of restaurants here is enormous, but we can recommend having lunch at Eataly. 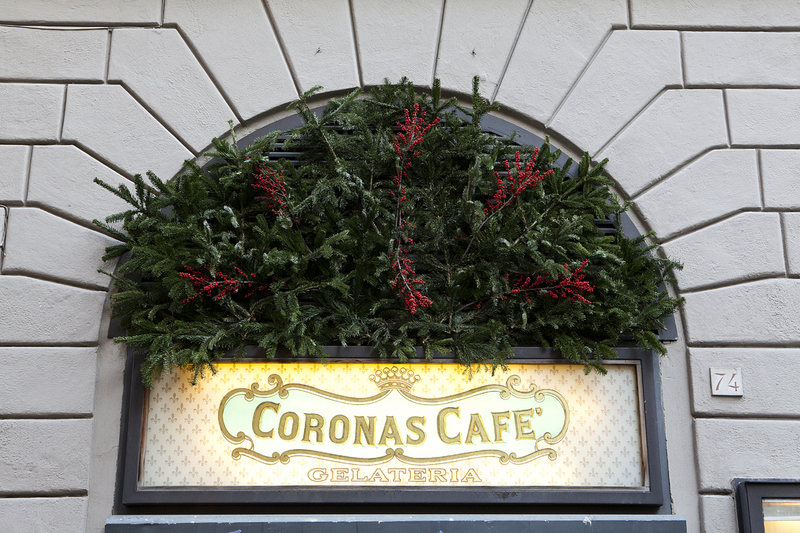 This collection of shops and eateries is found at Via De Martelli 22, right by the Dome.  For some very Tuscan food that will build your Christmas spirit, we recommend La Menagere at Via de Ginori 4, Il Santo Bevitore at Via Santo Spirito 64, and Ristorante Gurdulu at Via Delle Caldaie 12.